Most recently, Mr. Shaller, Rahul Ravipudi and Tom Schultz obtained a $8.25 million settlement in January 2017 for a young woman severely injured when she was struck by an SUV as she attempted to enter her vehicle. 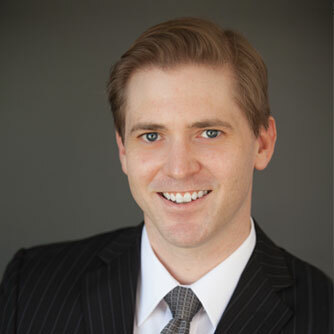 Prior to joining Panish Shea & Boyle, John Shaller worked at another consumer law firm in Los Angeles where he developed his skills as a plaintiff’s lawyer and gained recognition for passionately and successfully representing clients at both the trial and appellate court levels in a wide range of cases relating to serious personal injury, wrongful death, elder and dependent adult abuse and medical malpractice. Mr. Shaller is a graduate of Southern Methodist University and University of La Verne College of Law. He is licensed to practice before all state and federal courts in the State of California and is a member of the State Bar of California, the American Association for Justice, and the Consumer Attorneys Association of Los Angeles.